Jessica had always been haunted by the fear that the unthinkable had happened when she had been “made-up.” For as far back as she could remember, she had no sense of a Self. Her mother thought of her as the “perfect infant” because “she never wanted anything and she never needed anything.” As a child, just thinking of saying “I need” or “I want” left her feeling like an empty shell and that her mind was about to spin out of control. Terrified of who––or what––she was, she lived in constant dread over being found guilty of impersonating a human being. Jeffrey Von Glahn, Ph.D., an experienced therapist with an unshakable belief in the healing powers of the human spirit, and Jessica, blaze a trail into this unexplored territory. As if she has, in fact, become an infant again, Jessica remembers in extraordinary detail events from the earliest days of her life––events that threatened to twist her embryonic humanness from its natural course of development. Her recollections are like listening to an infant who could talk describe every psychologically dramatic moment of its life as it was happening. This excerpt happened a few months after we had started meeting for several hours a day for four days a week. This session format was ideal fertile ground for the deepest feelings to emerge, which, of course, was exactly what we were hoping for. However, neither Jessica nor I ever imagined how deep that experience would be. In the earliest stages, Jessica’s initial reaction to the spontaneous emergence of deeper feeling was, of course, the most intense, and gradually became less so. This session started as all of them did. She started talking about a recent event that, at least in my mind, didn’t seem all that upsetting. But as she continued talking, long buried feelings started to emerge. One day as this started to happen, she suddenly jumped up and rushed out of the living room, with cries of “I can’t do this!” trailing behind her. I waited to see if she was going to stop in the kitchen, but I lost the sound of her steps somewhere on the other side of the house. The rattle of a coat hanger catapulted me out of my chair and sent me hurrying through the kitchen to the small utility room. Jessica had her shoes on. She was holding a light jacket in her hand. I jumped past her and stood with my back against the outer door. The room was so small that I could easily have reached out and touched her with a single step in her direction. Her coat hung limply from her hand. Tears began to trickle out of her eyes. I raised my arms for her to tumble forward, but she stood in place. “Listen! Please! I can’t do this!” A few moments passed as I smiled at her, hoping she was receiving the warm vibes I was silently sending her way. Her coat fell to the floor. Then her hands slowly transformed themselves into tight fists, and she pressed them against the sides of her head. Fresh words came. “I couldn’t make anyone love me! Not even my own mom!” Big tears ran down her face, and her body suddenly arched backward. She exclaimed, “If you can’t make your own mom love you…Ow! Ow!” She grasped her head in her hands and finished her agonized cry, “What kind of a person are you?” Instinctively, I nudged her shoulders with my fingers. She collapsed in my arms. 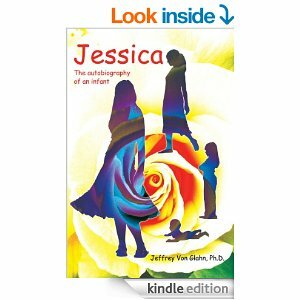 Jessica had maneuvered her way through life by doing what was expected of her and never failed to do so! Everyone who knew her thought she was extremely responsible. How could they not? That was not the real Jessica, though. Despite how she appeared to others, that was the made-up Jessica with no inner self, capable only of wooden behavior. Before, no one had been aware of the emotional storms brewing inside her. They had come out only when I was around. I understood why this was so, though I never stopped being amazed at how calm Jessica could appear to others, while being just the opposite with me. Now, however, people were becoming aware of the Jessica who had always been protectively hidden away. “What was that?” I quickly asked, having not a clue as to what she meant. “Have a good time!” she answered and cried a little. The fact that she could state exactly what she was feeling, cry about it, and still recognize the experience as positive, impressed me. She was looking forward to her next social event.